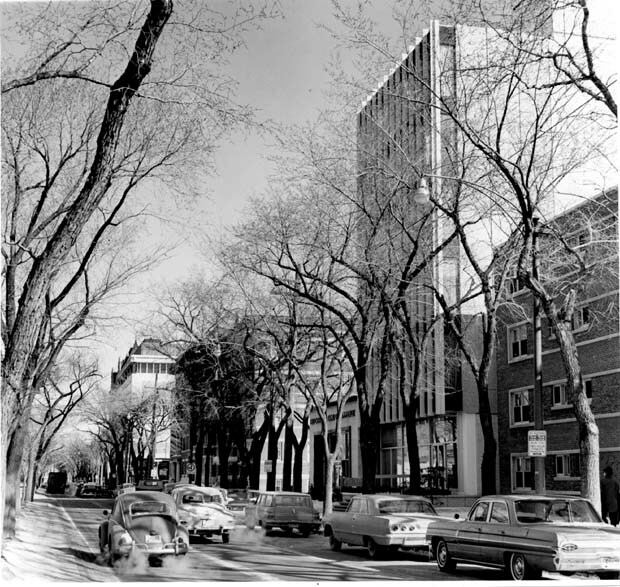 This 90 minute tour focuses on the post-1945 development of the area as a premier business district and the collection of modernist architecture designed by some of Winnipeg’s most notable firms. Broadway between Main Street and Osborne Street has long been an address of prestige, book-ended by two dominant, significant works of architecture – Union Station to the east and the Manitoba Legislative Building to the west. The early history of the avenue was as a desirable residential neighborhood, with little commercial activity. A building boom in the late 1950s to early 1970s, however, was responsible for the development of the Broadway as we know it. All surfaces will be wheelchair and stroller accessible. The tour is free and no registration is required.